In the wood with some of my labradors. 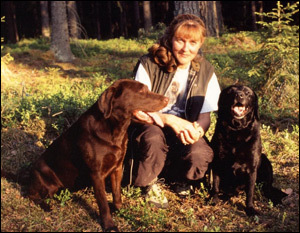 our kind of dog so after a couple of years we took the kennelname Mylabs and started a small breeding of black and brown labradors. 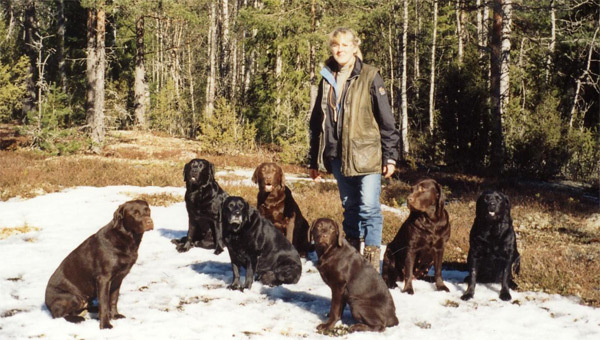 The purpose of our breeding is labradors with a classic look, good working ability and good temper. 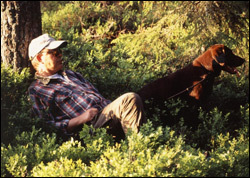 Tord relaxing in the forrest with one of our girls.